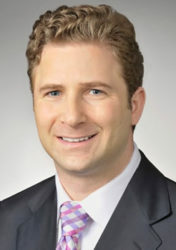 Mr. Jonathan Weisstub is a founding partner of Common Wealth. He specializes in strategy, transaction structuring, and the interface between the public and private sectors. Jonathan is a lawyer and former senior advisor to the Prime Minister of Canada with senior executive experience in government, professional services, and the corporate sector. As Assistant Deputy Minister at the Ontario Ministry of Finance and Executive Vice President at Infrastructure Ontario, he led government-wide expenditure management exercises and major transactions related to public assets. He worked as a corporate lawyer at Stikeman Elliott, specializing in securities, fund formation, mergers and acquisitions, and private equity. 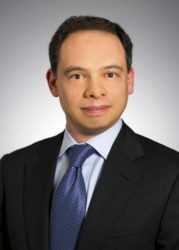 He is a licensed lawyer in both Ontario and New York. A graduate of McGill, Oxford, and the University of Toronto Law School, Jonathan is chair of the board of the Halifax International Security Forum, one of the world’s leading forums on international security. He is also a Senior Resident at Massey College at the University of Toronto. Mr. Jonathan Tepperman is the Editor-in-Chief of Foreign Policy magazine and author of the book, The Fix: How Countries Use Crises to Solve the World’s Worst Problems (Crown, September 2016). From 2011 until August 2017, he was the managing editor of Foreign Affairs magazine. Tepperman has spent twenty years working on international affairs as an editor, writer, and analyst. He started his career working as a speechwriter at the UN in Geneva, Switzerland. After stints as a foreign correspondent, he joined Foreign Affairs as a junior editor. He later moved to Newsweek International, where he was deputy editor, and then worked as a political risk consultant before returning to Foreign Affairs in January 2011. Tepperman has written for a range of publications, including Foreign Affairs, the New York Times, the Washington Post, the Wall Street Journal, the Atlantic, the New Republic, and others, on subjects ranging from international affairs to books to municipal politics to food. Tepperman has interviewed more than a dozen world leaders, including Syria’s Bashar al-Assad, Japan’s Shinzo Abe, Brazil’s Luiz Inacio Lula da Silva, Mexico’s Enrique Peña Nieto, Indonesia’s Joko Widodo, and Rwanda’s Paul Kagame. He is the coeditor of the books The U.S. vs. al Qaeda (2011), Iran and the Bomb (2012), and The Clash of Ideas (2012). Mr. Dean Fealk leads the Global Equity Practice at DLA Piper, where he advises leading multinational companies on a wide range of legal and strategic issues related to doing business overseas. Dean has extensive experience managing complex projects in Asia, Europe, Latin America, the Middle East and Africa related to international data privacy, immigration, intellectual property protection, choice of entity, tax and corporate structure, employment, and cross-border deals spanning industrial and services sectors. 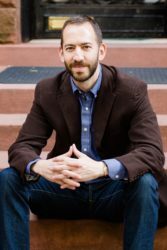 Active in civic affairs and public policy, Dean is a Fulbright Scholar, Marshall Memorial Fellow, Truman National Security Fellow and Carnegie New Leader of the Carnegie Council. He is a Presidential Leadership Scholar, was selected for a Presidential Management Fellowship and served on the National Security Advisory Board of a leading presidential candidate in 2007 and 2008. Dean traveled to China and Mexico as a trade and investment delegate for the Governor of California in 2013 and 2014.